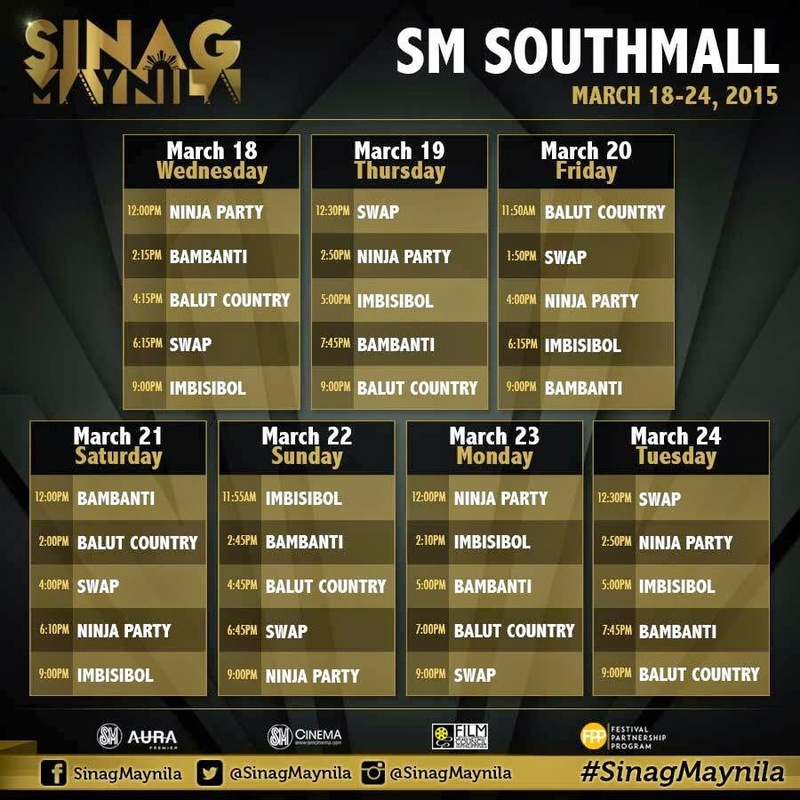 The Sinag Maynila Independent Film Festival will held its film showing in six selected SM Cinemas in Metro Manila including SM Mall of Asia, SM Aura Premiere, SM North EDSA, SM Fairview, SM Manila, and SM Southmall. 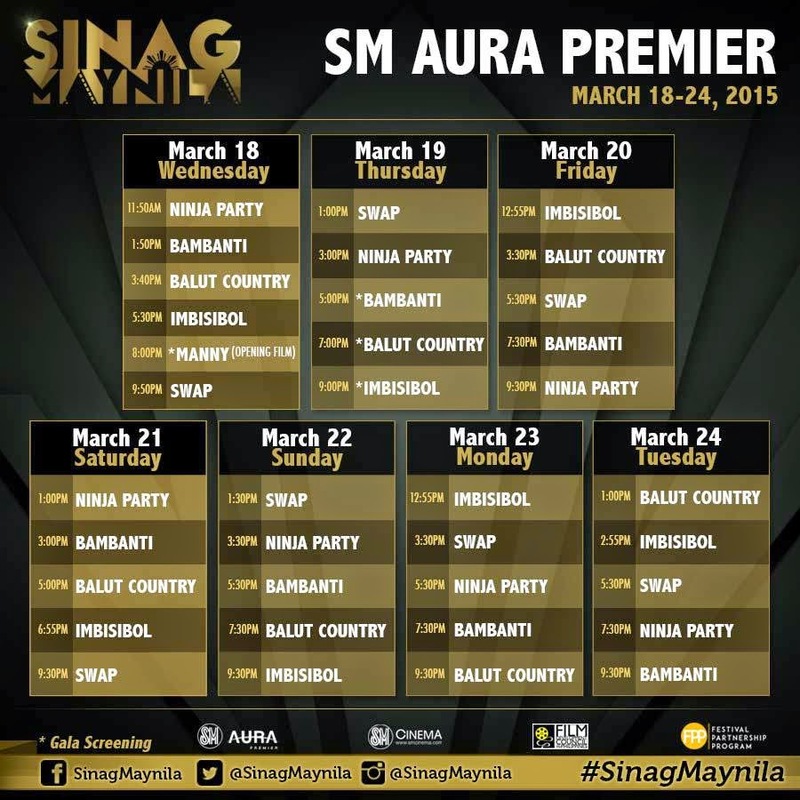 Below are the list of film showing schedules for Sinag Maynila Film Festivals. Click here for the list of Sinag Maynila Independent Film Festival 2015 Movie Entries. 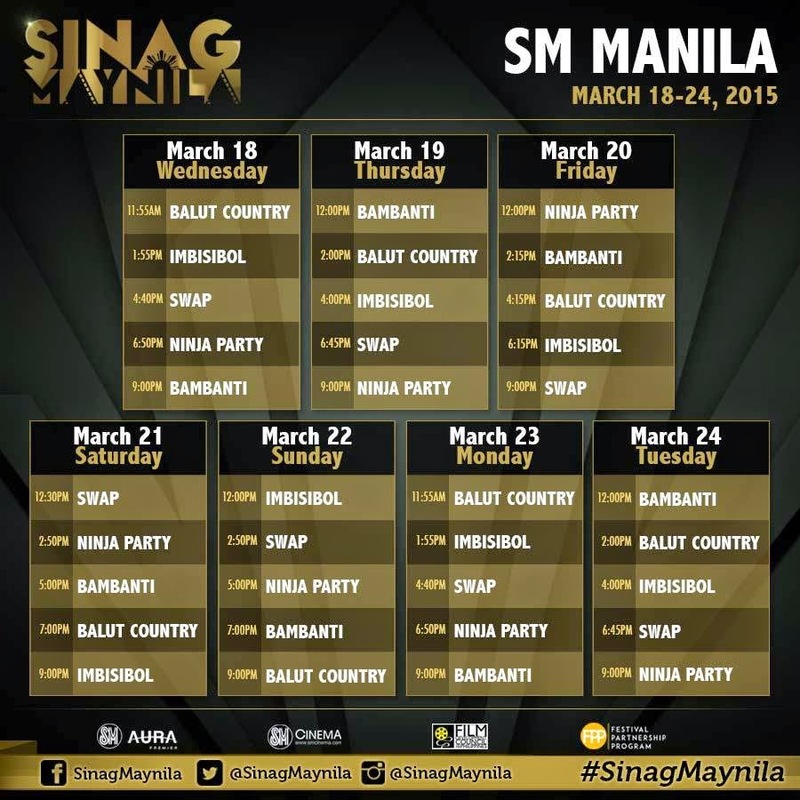 Did you know which movie will open the Sinag Maynila Film Festival 2015? Find out here. One of the film entries was originally written as a one-act play, which debuted on the 9th Virgin Labfest in 2013. Find out which movie it is, here. 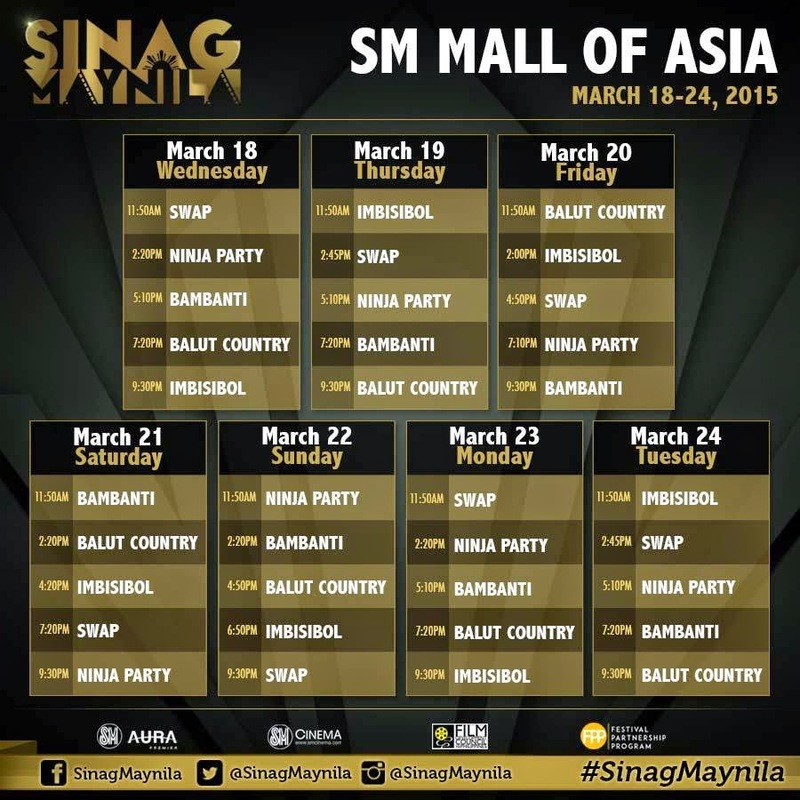 Don't forget that Sinag Maynila Independent Film Festival 2015 will have its limited run from March 18 to March 24, 2015 only. See you there! 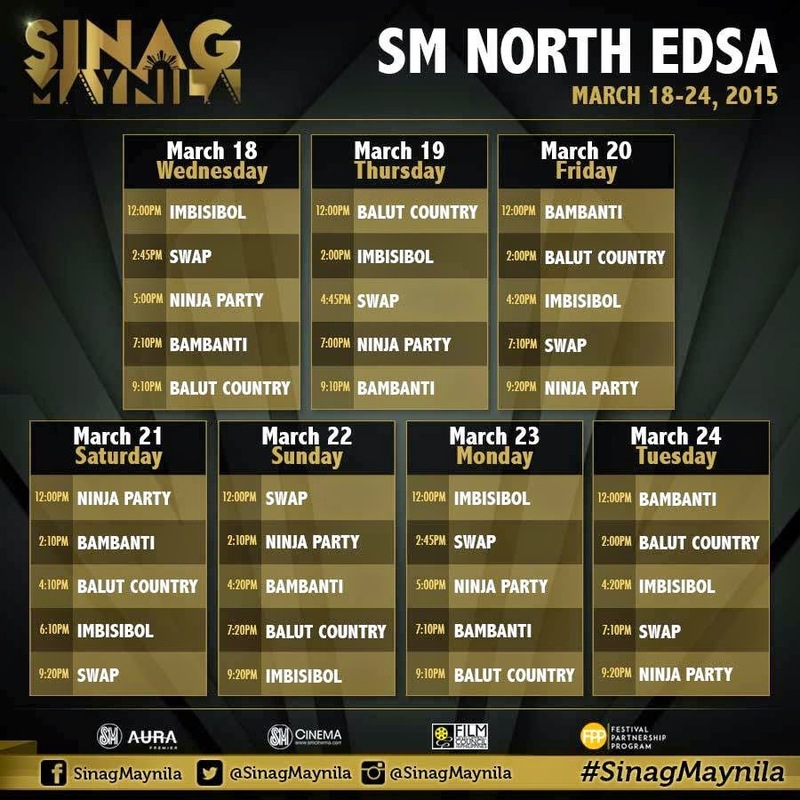 Images courtesy of Sinag Maynila Facebook Page.